Ideal for general classroom use. 100% acrylic yarn. Individually bagged in a convenient poly dispenser pack. 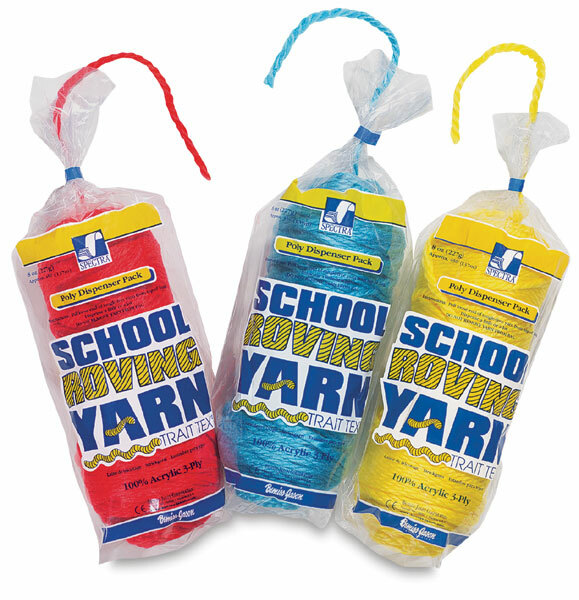 3-ply air-fluffed yarn comes in 8 oz skein. Approximately 450 feet (137 m).